Funeral services are not easy to do, especially when you are directly related to the departed person. Nevertheless, it is the one last thing that you can do in honor of their memory. 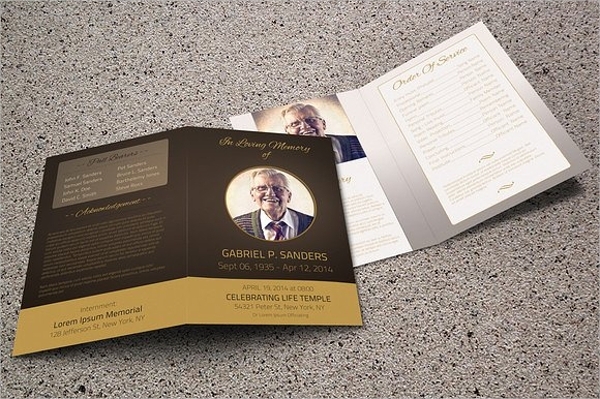 Celebrate their life with a well-planned ceremony accompanied by a funeral brochure that attendees can refer to throughout the event. 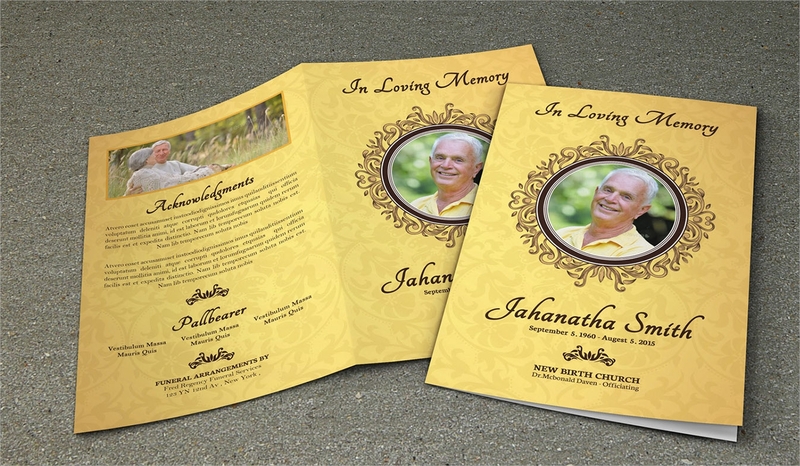 However, it’s not just on the days of the funeral that these brochures are used. Funeral parlors and other proprieties that cater to funeral services can also use this. It can help promote a business along with what it can do. 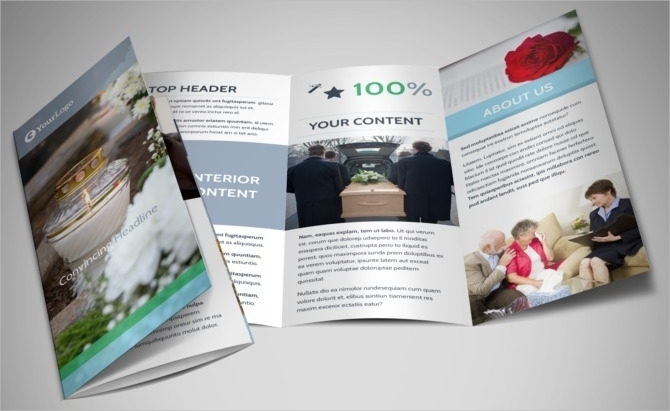 Find Printable Brochures that you can use and edit them to complete the content. 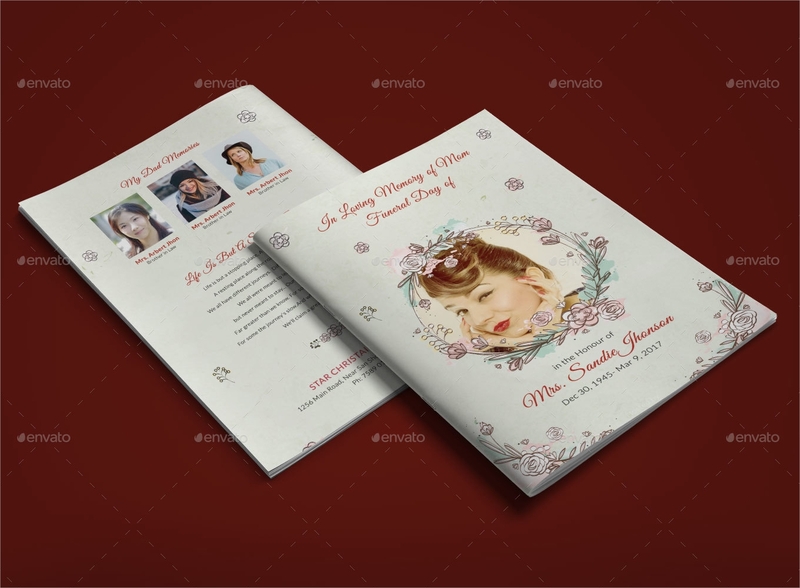 These brochures are considered as guides for the whole flow of the service. 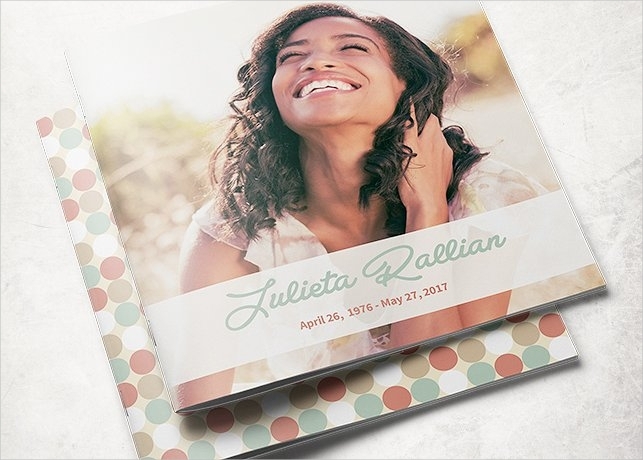 Although not the same for all funeral brochures, most of the time, it has the brief story about the deceased person’s life. It honors their memories through that then is usually followed by the schedule of service; where it will be held, the time, and date. 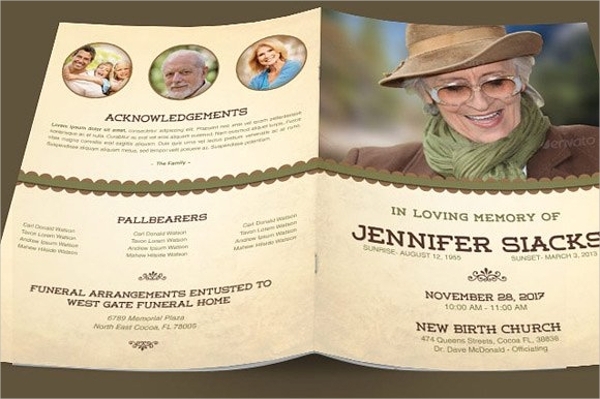 Furthermore, these funeral brochures will always have a picture of the person you are holding a funeral for. It can just be a small picture at the bottom of the page or can be the whole page. 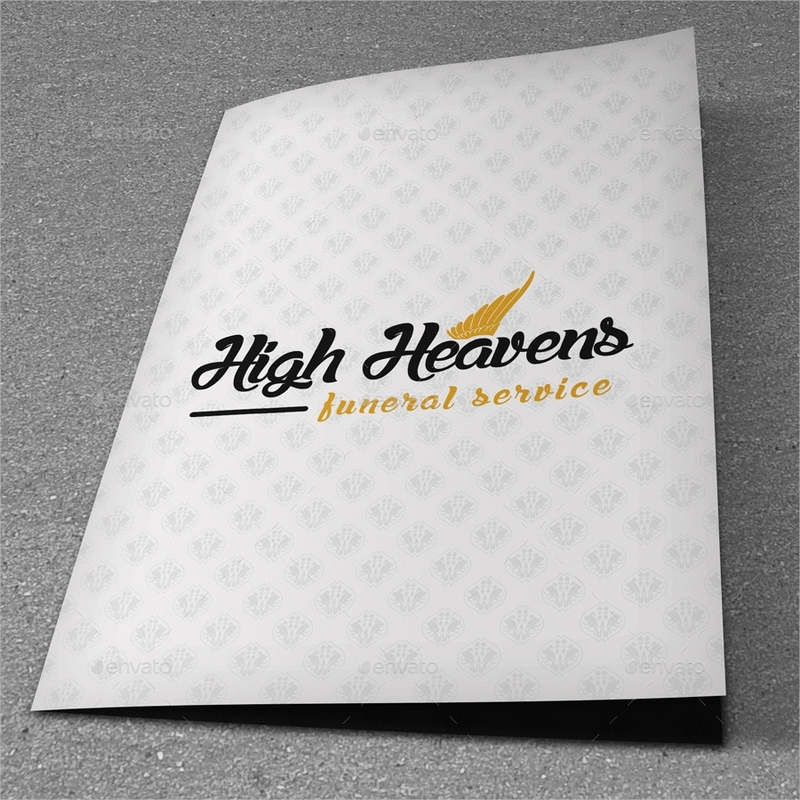 Meanwhile, for business, brochures are given to convince people to avail themselves of the services offered by the funeral homes. It can be a package deal of what the business can do for the family or it can be individual policies that they can pay gradually as a form of investment. Describe what makes you better than other funeral homes to get more attention. Also, these brochures may contain the price for your services and how you can be reached. 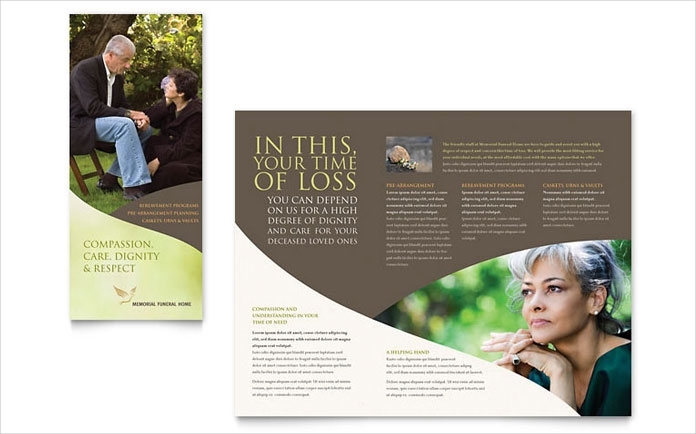 You can use Tri Fold Brochures for this to add more information about your business or you can use other types as well. Customize the templates or samples to make them more appropriate. Don’t make your brochures too generic. Some free templates can be used by others and the least that you want to happen is for you to have the same template as others. Keep your layout neat and organize the contents you want to add. 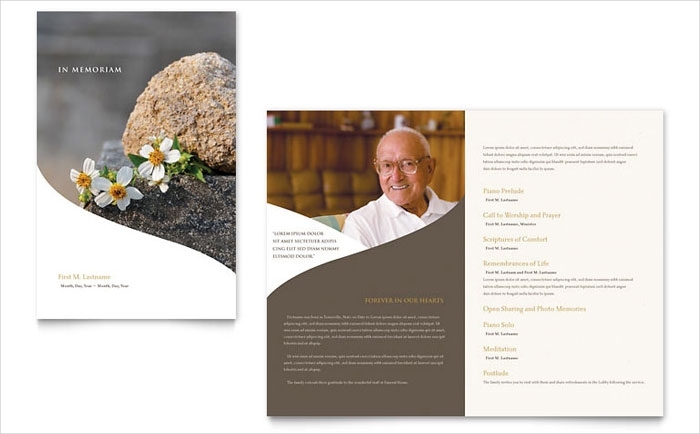 Simplify the way you add your contents and ensure that everything is readable rather than just focusing on one aspect of your Digital Brochures. Avoid using bold and bright colors as a way of showing sympathy. 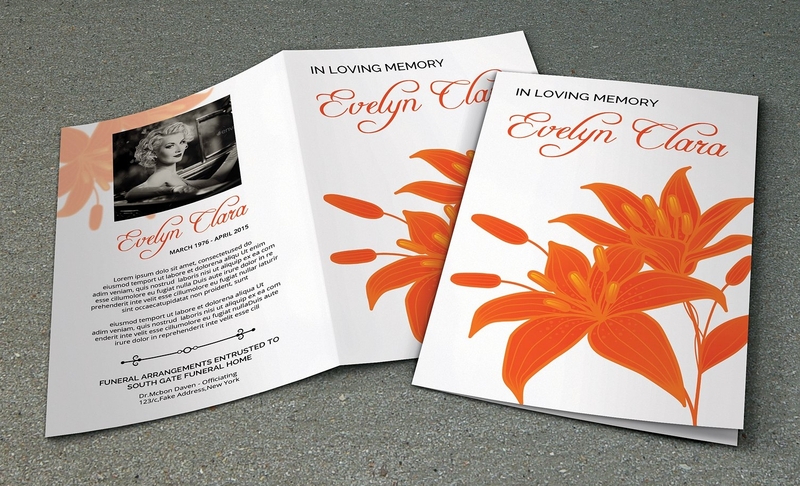 Ideally, funeral brochures are to be kept light and relaxing. Using loud colors will not be appropriate for the occasion. You can search for color schemes that are available.